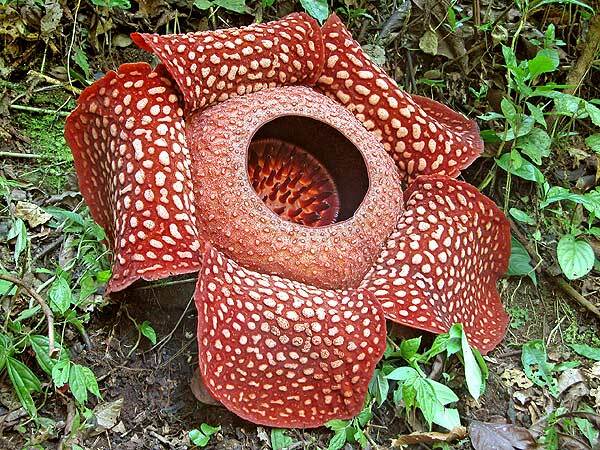 This is Rafflesia arnoldii, a plant that produces the largest single flower in the world. But the flower is all you'll ever see of this particular plant -- the rest of it lives as a parasite inside the vine the flower sits on. On a remote Arctic island, a hidden vault holds seeds to preserve life on Earth. That sounds like the kind of thing a James Bond villain would have built, right before releasing the deadly mold plague and holding the world's food supply hostage. 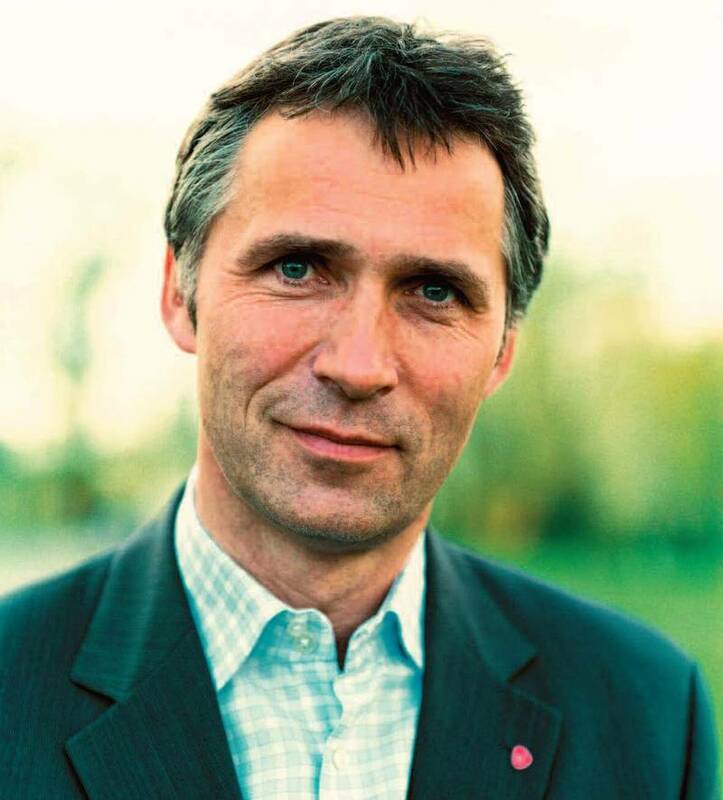 But instead it's the work of well-meaning folks like the Global Crop Diversity Trust and the Norwegian government, trying to protect the food supply against some kind of devastating blight. Of course, that's exactly the kind of thing a well-groomed supervillain would want us to believe . . .
You remember the satellite about to land on your head? Well, it's history. The U.S.S. Lake Erie got it with a modified SM-3 missile. Apparently the attempt was delayed until the Space Shuttle Atlantis was safely on the ground and out of danger, since blowing the USA 193 satellite apart would create a debris field in low orbit that the Shuttle would have to pass through. UPDATE: Check out the video of the shot. Carmina Burana soundtrack optional. The 99th edition of the Tangled Bank is up at Greg Laden's Blog. It's got lots of reporting on peer-reviewed articles, as well as a little thing from us. All right, we've tried being nice, but now it's time to resort to threats. We've completed construction on a device which will destroy the Moon, and we're going to use it tonight unless everybody in North America buys two copies of BONE WARS: The Game of Ruthless Paleontology. The deadline is 1:43 Greenwich Mean Time (8:43 p.m. Eastern Standard Time in the United States). If we haven't got 300 million orders by that time, the Moon will disappear! Here's a fun video on the dangers of Carbon Dioxide -- no, not An Inconvenient Truth, this is a discussion of cool stuff to do (and stuff to avoid) with dry ice. And here's a video showing why you really do need to be careful. Disclaimer: we don't recommend that any of our readers actually try this stuff at home. Leave it to professionals. Kids love to gross each other out, so What’s Eating You? 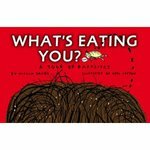 by Nicola Davies, a book about parasites aimed at the elementary school set, should give them plenty of ammunition for disgusting lunchroom conversations. The book is nicely done – it translates many of the same complicated parasite-host relationships I’ve discussed in these posts (plus plenty of others I haven’t gotten to yet) into kid-friendly prose, and uses lots of specific examples to drive home the idea that every organism, including you, is a pretty enticing environment to a lot of parasites. Many examples are of parasites that affect humans, but Davies doesn’t completely neglect the rest of the animal kingdom – devoting a couple of pages to a discussion of everybody's favorite -- the mind-controlling parasites like Sacculina and hairworms. Another chunk of the book is also devoted to ways that hosts fight back, with their immune systems and good grooming. Kids that are still too young to tackle Parasite Rex will enjoy this one. Giant, uh, Things From Space! Some of you may have been worrying about the possibility that something large and classified may land on your head. The super-secret U.S. spy satellite USA 193 (operated by the super-duper-secret National Reconaissance Office) malfunctioned after launch and has been dropping lower and lower in its orbit. There's talk of danger from its hydrazine propellant, but one would think the real danger is something the size of a bus moving at several miles per second plowing into your neighborhood. Fortunately, the Department of Defense has decided to do something about it. They're going to shoot it down. This will serve three useful purposes: first, it alleviates the whole getting hit by something the size of a bus issue; second, it makes sure nobody gets their sticky fingers on the Pentagon's classified goodies; and third, it demonstrates to any interested parties that the U.S. can shoot down satellites. 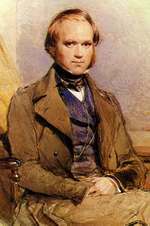 Today is the 199th anniversary of Charles Darwin’s birth. What better time to go out and learn something new about evolution? If you live in a community that’s hosting a Darwin Day event, your task is easy – you’re sure to learn something there. If your poor benighted town isn’t participating, don’t despair – there are plenty of places on the Internet devoted to evolution education. For a good general overview, start at Understanding Evolution, an excellent educational site from the University of California Museum of Paleontology and the National Center for Science Education. Like any good educational site should be, Understanding Evolution is engaging and clearly written – which becomes unsurprising when you poke down in the credits and find that Carl Zimmer was one of the writers on the project. If you like to learn with a little more multimedia, PBS still maintains the site for its 8-hour Evolution series, where you can find animations and short videos on the subject. And if you want to go the scholarly route, last month Springer launched Evolution: Education and Outreach, a new journal devoted to teaching evolution. And (at least for now) it’s open access, so you don’t need a university position to check it out. And it'll help you prepare for next year's Darwin bicentennial! Two years ago we showed you the big engine. Now have a look at the little engine. You may need a microscope.